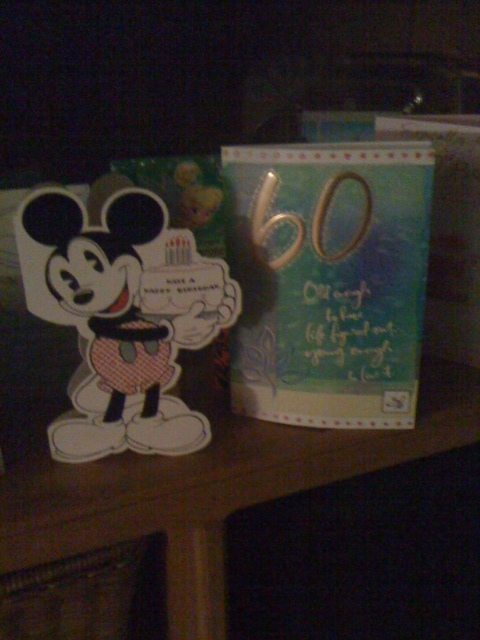 I received one of the most memorable birthday presents for my 60th birthday. As well as a surprise visit by my brother and sister-in-law, they bought me a beautiful bowl and filled it with 60 wishes for me to enjoy for the next 60 days. I am having so much fun everyone morning, starting my day with their wish, that I decided to adapt it for my business. 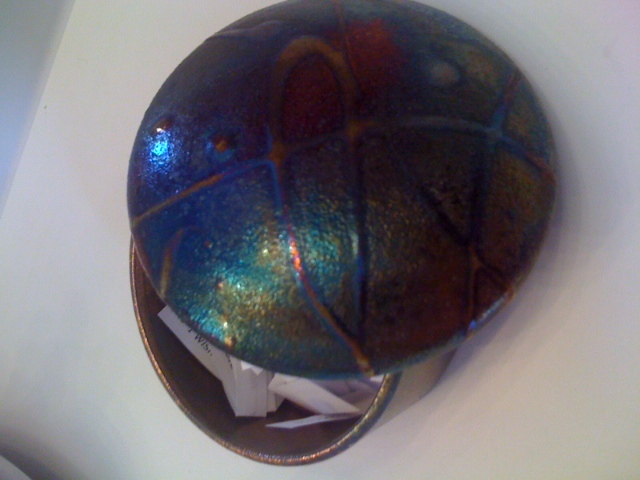 Why not have a wish bowl with a sign “Take A Wish” for my customers? I do wish good things for my customers, so why not tell them? If you would like to have a “Take A Wish” bowl for your customers, I will share mine with you, feel free to print and use them. Our wish for you…..A fresh start when you need it most. Our wish for you…..that your friends ask only for your time not your money. Our wish for you…..A friend is a present you give yourself. We wish you many friends. Our wish for you…..that you realize a hunch is creativity trying to tell you something. Our wish for you…..that a light heart carries you through all the hard times. Our wish for you…..that a new perspective will come when and where you need it. Our wish for you…..that a pleasant surprise is waiting for you. Our wish for you…..that your journey is smooth and joyful. Our wish for you…..a soft voice to guide you. Our wish for you…..a truly rich life full of love and abundance. Our wish for you…..that you can accept something that you cannot change. Our wish for you…..an adventure that brings you real happiness. Our wish for you…..that all your efforts will ultimately pay off. Our wish for you…..that all your troubles will pass away very quickly. Our wish for you…..that you allow compassion to guide your decisions. Our wish for you…..that you have the support of an important person. Our wish for you…..that you are deeply respected by many. Our wish for you…..that you believe in yourself and others will too. Our wish for you…..that you believe it can be done. Our wish for you…..that joy surrounds you all day long. Our wish for you…..that your curiosity kills your boredom. Nothing can kill curiosity. Our wish for you…..a calm mind to tackle your day. Our wish for you…..you find the path which fate has you assigned. Our wish for you…..all the determination you need. Our wish for you…..that believing creates your magic. Our wish for you…..that you distance yourself from all things negative. Our wish for you…..that you are not intimidated by the eloquence of others. Our wish for you…..that ambition does not overshadow success. Our wish for you…..the realization that all human beings have unlimited potential. Our wish for you…..that every wrong decision discarded is another step forward. Our wish for you…..that you don’t just spend time, that you invest it. Our wish for you…..that you don’t just think, but act! Our wish for you…..that you don’t let the past define your future. Our wish for you…..that you don’t let your limitations overshadow your talents. Our wish for you…..that when prosperity knocks at your door, that you open it. Our wish for you…..that when opportunity knocks, you open the door. Our wish for you…..that you emulate what you admired in your parents. Our wish for you…..that you emulate what you respect in your friends. Our wish for you…..that you believe everyday in your life is a special occasion. Our wish for you…..that you realize failure is the chance to do better next time. Our wish for you…..that your kindness will lead you to success. Our wish for you…..that happiness begins with facing life with a smile and a wink. Our wish for you…..that a true sense of value comes through service to others. Our wish for you…..that your life is abundant. Our wish for you…..that in the end all things will be perfect. Our wish for you…..that you have the courage to fail and get back up. Our wish for you…..that you keep your face to the sunshine and never see shadows. Our wish for you…..that your world is filled with tranquility and goodwill. Our wish for you…..that living with a commitment to excellence will take you far. Our wish for you…..that your love lights up the world. Our wish for you…..that your life will travel miles, one sweet step at a time. Our wish for you…..that your favorite medicine is love, time and patience. Our wish for you…..that you never fear, the end of 1 thing marks the start of something new. Our wish for you…..the peace and tranquility to let your creativity flow through. Our wish for you…..the courage to try something new. Our wish for you…..that pennies from heaven find their way to your doorstep. Our wish for you…..the vision to plan your future. Our wish for you…..peaceful rest for your physical and emotional health. Our wish for you…..the ability to savor your freedom — it is precious. Our wish for you…..the ability to share your joys and sorrows with people you love. Our wish for you…..that soon life will become more interesting. Our wish for you…..that you stand tall and don’t look down upon yourself. Our wish for you…..that you stop searching because happiness is within. Our wish for you…..the realization that success is a journey, not a destination. Our wish for you…..that your travels are always on the high road. Our wish for you…..that the changes you start have far-reaching effects. Be ready. Our wish for you…..that you begin trusting your intuitions. Our wish for you…..that you can predict the future, by inventing it. Our wish for you…..that you generously share, even with the undeserving. Our wish for you…..that you find joy in the accomplishment of others. Our wish for you…..that many surprises await you! Our wish for you…..that you can welcome change. Our wish for you…..that your heart is pure, your mind is clear. Our wish for you…..that you are busy AND happy. Our wish for you…..that today you are generous to an extreme and it boomerangs back. Our wish for you…..that you are in good hands always. Our wish for you…..that you a generous with your advice and your help. Our wish for you…..that your friends are generous with their help when needed. Our wish for you…..that if you are offered the dream of a lifetime that you say YES! Our wish for you…..that your friends are solid and dependable. Our wish for you…..an active mind and a keen imagination. Our wish for you…..that you exceed what was expected. Our wish for you…..that you have the power to write your own future. Our wish for you…..that you are able to make money and most importantly hold on to it. Our wish for you…..that you are able to undertake and complete anything you want. Our wish for you…..that you have fun with others and also enjoy your solitude. Our wish for you…..that you will always be surrounded by true friends. Our wish for you…..that you will always get what you want through believing. Our wish for you…..that you will be blessed. Our wish for you…..that you will work at a profession you love. Our wish for you…..that you will enjoy good health. Our wish for you…..that you will find great contentment in the daily, routine activities. Our wish for you…..that you will find your pot of gold at the end of the rainbow. Our wish for you…..that when needed, you will make change for the better. Our wish for you…..that you will be surrounded by good friends and laughter. Our wish for you…..that your hard work is appreciated. Our wish for you…..that your difficulties will strengthen you. Our wish for you…..that your dreams will guide you. Our wish for you…..that your happiness is before you, not behind you! Our wish for you…..that your home is the center of great love. Our wish for you…..that your ideals are well within your reach. Our wish for you…..that your patience will be rewarded. Our wish for you…..that your life will be happy and peaceful. Our wish for you…..that your life will get more and more exciting. Our wish for you…..that your success will astonish everyone. Our wish for you…..A year of Monday’s that feel like Friday’s. Our wish for you…..A cool breeze on a hot summer day. Our wish for you…..A peaceful walk in nature. Our wish for you…..A moment of silence when the world is too loud. Our wish for you…..a flood of great childhood memories. Our wish for you…..that each passing year brings you wisdom, peace and cheer. Our wish for you…..that your day is as special as you. Our wish for you…..that you measure your life by smiles, not tears. Our wish for you…..that today brings you an extra dose of happiness. Our wish for you…..that today brings you an extra dose of joy. Our wish for you…..that your best years are still ahead of you. Our wish for you…..that your dreams turn to reality. Our wish for you…..miles of smiles today. Our wish for you…..that lovely surprises are coming your way. Our wish for you…..that your worries are far between. Our wish for you…..A good book and the time to read it. Our wish for you…..hugs when your spirit sags. Our wish for you…..the perfect day. Our wish for you…..a sense of humor when you need it most. Our wish for you…..a luxurious bath and the time to enjoy it. Our wish for you…..abundant blessings. Our wish for you…..a feeling of calm in the storm. Our wish for you…..that you can pay attention to life when it speaks. Leave a comment of your favorite wishes and I will add them to my list and bowl. Congratulations to my daughter Erica (Flanagin) George for earning her IFPA Professional Status (International Fitness & Physique Association) and first place overall at the 2011 OCB Midwest States. She had a goal and achieved it !!!! Only happened because of her hard work and dedication and daily workouts at the Valparaiso YMCA (click here). Random me: I’m not a very athletic person. Celebrating my 100th blog post on my 60th birthday. 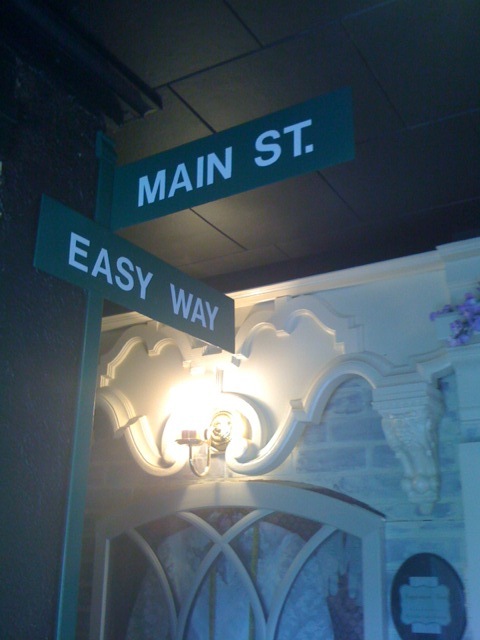 The best-laid plans of mice and men…..
Click here for an awesome article about our Main Street USA in NWI Times today. Random me: I believe music can change your mood. On February 13 -17, 2012 Valparaiso Indiana will be participating in the Random Acts of Kindness week. (click here). One more reason I am proud to live and work in this town. We plan on participating, hope you will join in too no matter where you live. Random me: I believe in resolutions, just not on January 1st.